It has been a while since updating my work on this site. Many things have happened. I have finished my doctoral course, returned to once again live and work in Jamaica and launched a creative collaboration. Most importantly however, my perspectives and attitudes towards contemporary art have shifted. This coupled with the five years I had exposed to new approaches to creativity and experiences while living in Kyoto, Japan. These changes are also a result of having to think about art theory and its mechanics so closely during my course. There is a reason that artists are for the most part not theorists. I have come to understand that creative practice and the study of it are two completely different ends of different animals. Thinking about art in such abstract and non-practical terms has left me with the need to make things simple again. This is where The Selfie Drawing Project began. 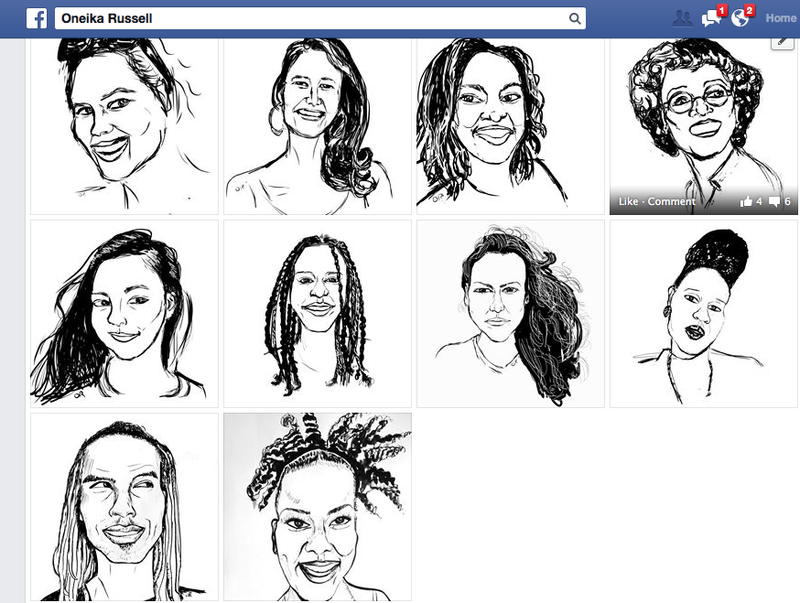 I unintentionally began by doing a drawing of myself instead of submitting a photo for a portrait for a show in Jamaica last summer. I liked the outcome so I posted it as my Facebook portrait. The image got several positive comments and so I invited others to send photos for me to draw from for free. A steady stream has since been coming in. The project gives me a chance to rediscover drawing and share something with people that is just a plain and easy image. I also enjoy the so-called 'selfie revolution' in 2013 and the personalities that come out in the photos. The drawings are not strictly from selfies but it allows me to draw something that someone else thinks is good and that I can reinterpret and share with them. Undoubtedly this is not the end result of the drawings but this is for future development. For now I am once again enjoying the challenge and simplicity of a brush, pen and ink or a stylus teamed with the steady diary-like routine of drawing faces. To join the project please send me a selfie to my inbox on Facebook with a request to participate and then we can take it from there. Visit the album on Facebook.